And if you also have a deep-seated affinity for the boys who were selling the papes on the streets of New York and wonder to yourself from time to time “why do newsboys no longer exist?”, guess what, they do. Maybe not in the singing–dancing–cap wearing variety, but we still have amazing people who sell newspapers on our streets every day. People who are out there, proudly CARRYING THE BANNER. And I am not referring to people who hand out the cheap metro papers for free (although I admire their work as well), I am talking about street newspaper vendors, in Vancouver and all over the world. 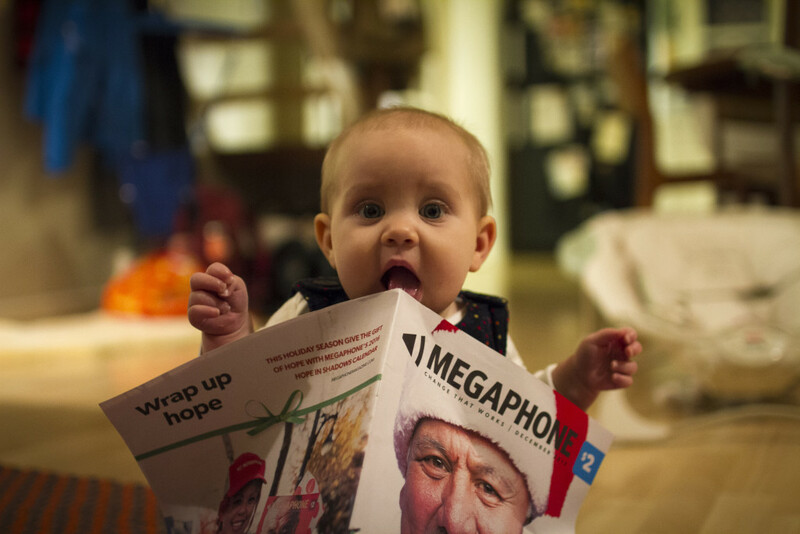 In Vancouver our street paper is Megaphone Magazine, and the copies are sold by homeless and low-income vendors. Just like Jack Kelly and Davey and Crutchy would buy their copies from Mr. Wiesel (or should I say Mr. WEASAL), the vendors buy each paper for $.75, and then sell it for $2.00. 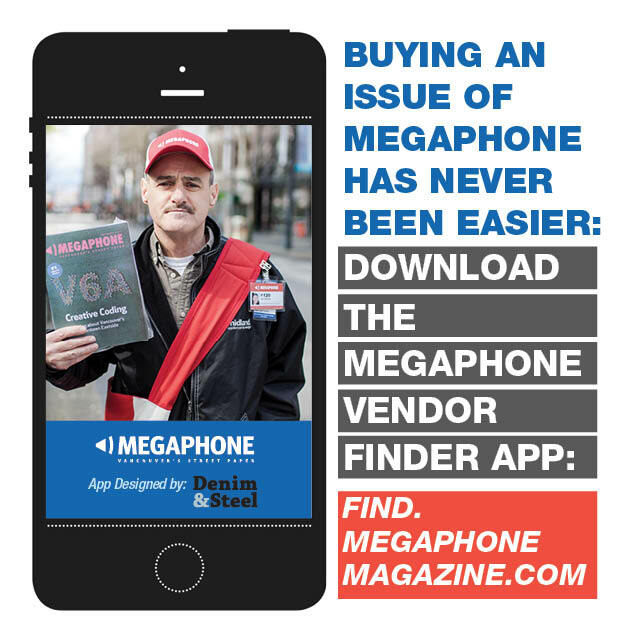 And today is a historic one as Vancouver’s Megaphone Magazine has become the first street paper in the world to create and release a mobile phone application to make it easier to find and support a vendor. 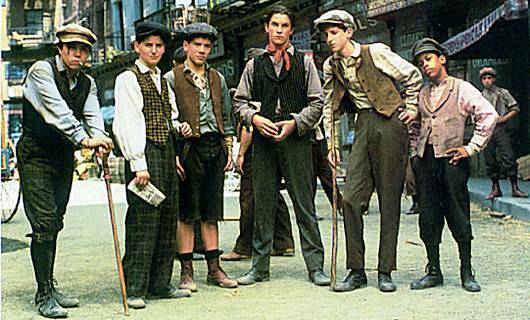 Imagine if the boys in Newsies had an app!? On one hand it would be terrible for them as Snyder (the Warden) would be able to track down Jack Kelly much easier and throw him in the refuge, but it ALSO would really help people find the newsies and therefore help their sales and ultimately make the world a better place. So next time you see a vendor selling Megaphone, or Real Change in Seattle, or Street Sheet in San Francisco, or the Big Issue in the UK, BUY IT. Not just because it is a hand up not a hand out, and not just because you are getting a quality independent publication, but because you support people carrying the banner, forever and always. PS. 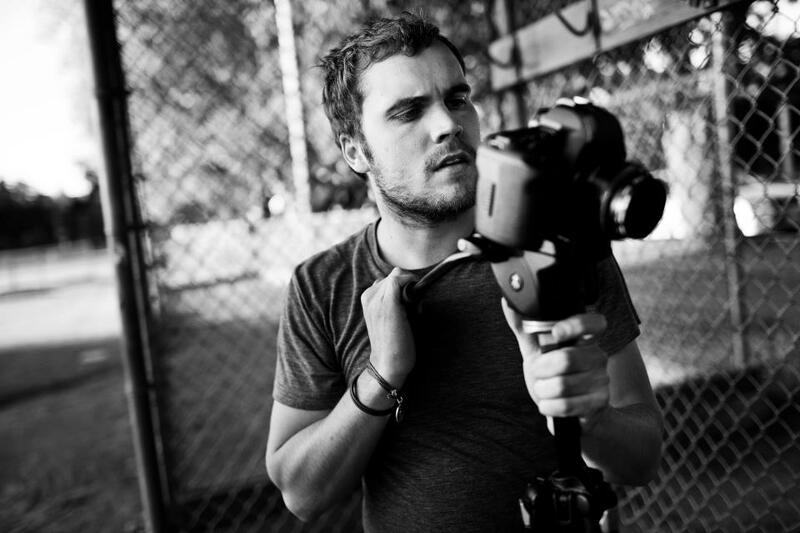 To download the app go to find.megaphonemagazine.com while on your mobile phone, then scroll to the bottom and “add to homescreen”, that will give you the megaphone app! BOOM!